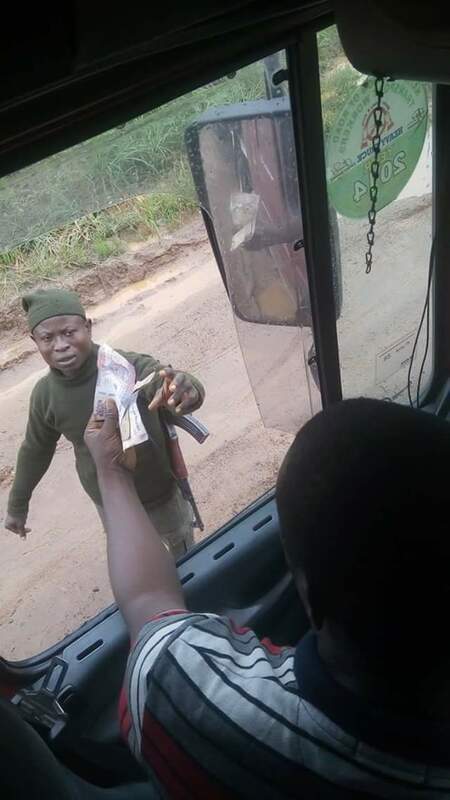 A Nigerian mobile police was caught live on camera collecting bribe, aka 'egunje' aka 'roja' from a driver. Notice he is wearing a cardigan to cover his number and name tag so that he can freely carry on with his nefarious activity. See a closer photo after the cut.